Medium: original lithograph. Printed by Mourlot in 1976 for XXe Siecle (issue number 47), published in Paris by San Lazzaro. Sheet size 12 1/4 x 18 inches (310 x 457mm); with a center fold in the sheet, as issued. Not signed. 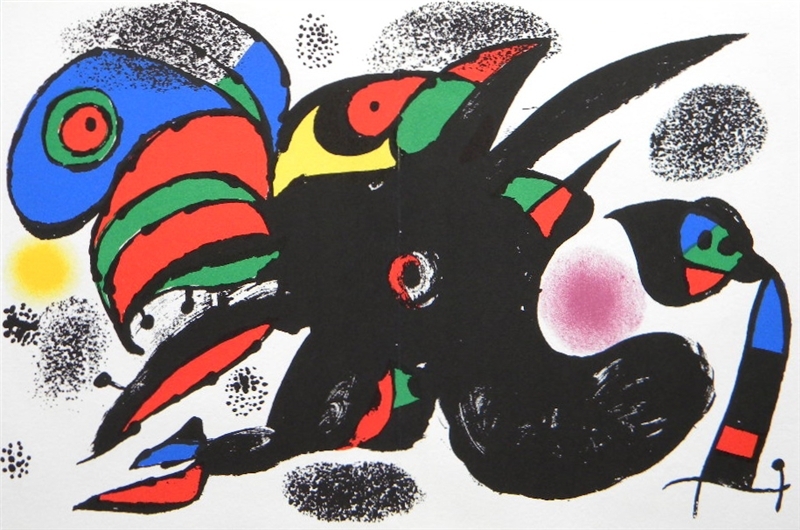 A bold and colorful lithograph, fairly typical in style of Miro late in his career.